As a TV presenter on Channel 4's Countdown and Sky Sports, Rachel Riley is living proof that maths and football go hand in hand. Having graduated from Oxford University with a degree in mathematics, Riley has taken an active role in promoting the importance of the subject. "There's a problem, specifically in this country, about maths," she says. "There's a stereotype that it's got a bad reputation. "They'll laugh it off and it's a badge of honour, whereas you wouldn't say proudly, 'I can't read' - so that's one thing that needs to change. "So many studies show maths is all about confidence and psychology, so if you keep telling your kids, 'I'm rubbish at maths and it doesn't matter', they'll pick up on that and they'll carry on. "When I joined Sky Sports I quickly realised there's way more maths and numeracy in football than there ever is in Countdown. "Anyone whose kids play EA SPORTS FIFA video games, they'll know that their kids know stats; they can reel them off. They can remember things because they enjoy it, and then they get better." 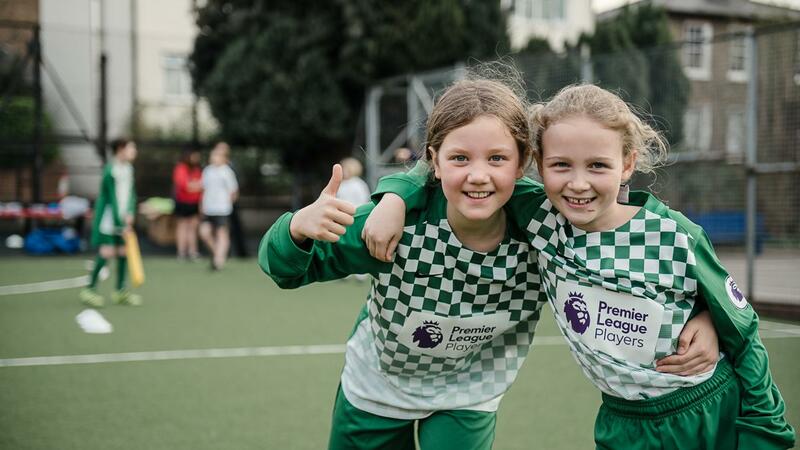 Rachel is one of the experts who have helped to create lesson plans and activities for the new Premier League Primary Stars programme, which was launched last month. The initiative uses the appeal of professional football clubs to inspire primary school children, while providing free teaching resources. "I went to a brainstorming meeting at the Premier League, and since then I've never been so impressed with a group of people," she says. "In that room were all the charities I've done numeracy work with. There were experts, people from schools, people from clubs, people who could implement it - people who knew what they were talking about, all in a room putting this stuff together. "We filmed videos for the lessons in Sky's studios. There's Premier League referees. It's really the coolest kind of people for kids to look at. They've gone for the top. "It's giving [the subject] a stamp of coolness, and you can be proud to be good at maths." Riley was delighted with the results when she saw a numeracy lesson at a school in action. "They’re working on a match report for Arsenal v Liverpool and, even if they don't know what football is, they have to read the information, collect it, put it into a graph," she says. "It puts it in a fun way so they're learning. "Then we went and produced our own data, so the kids are actually involved in active lessons, which is shown by research to really help learning. "They're making their own data, whether it's kicking or throwing the ball. "I'm so passionate about this. Now having seen it in action, I'm just going to be telling everyone, anyone who will listen, how good this is and why every school should get involved. "This is free for primary schools so I can't advocate this enough. All the stuff for teachers, all the lesson planning's there, all the worksheets for the kids are there. "The videos were there, the Premier League pencils, the Premier League stickers. It's all free."